Providing you the best range of food wrap film roll with effective & timely delivery. 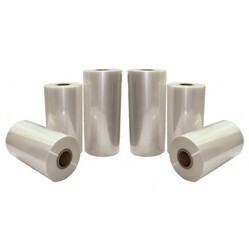 Owing to our vast experience in this domain, we are engaged in offering a wide range of Food Wrap Film Roll. Super strong and stretchy, our best-selling, multi-purpose transparent film/cling film food PVC roll is a great all-rounder for wrapping leftovers and lunches. Far superior to supermarket versions, unlike inferior cling films. These are appreciated for use in the fridge, freezer, kitchen and microwave. Also, we provide this role in several specifications as per client’s requirements. Looking for Food Wrap Film Roll ?